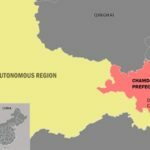 Negli ultimi anni da 3,000 a 4,000 tibetani fuggivano per l’India attraverso l’arduo e faticoso percorso dell’Himalaya. Dopo le rivolte di marzo, i controlli si sono accentuati e pochi tibetani riescono a passare il confine. 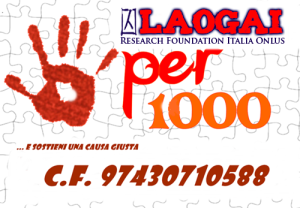 Segue il comunicato di Radio Free Asia in inglese. The number of Tibetans who are able to flee from China has drastically dropped. 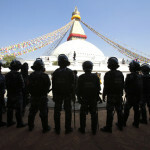 In the past, 3,000 to 4,000 Tibetans escape to India via Nepal each year. Since the Lhasa protests of March 2008, as Chinese authorities increased border control, the flow of refugees has been drastically reduced. Most of the refugees are young and they hope to study Tibetan culture in Dharamsala, where the Tibetan Government-in-Exile has been established. Chinese authorities have established checkpoints in every township, to check“passes,” making escape much harder this year. The number of people escaped this year is less than five percent of the annual number of the past years. “Without the pass, you can’t cross the border. Civil police are there and military police are there too,” a Tibetan resident residing near the Himalayan border said to Radio Free Asia (RFA). “The road to India is harsh, and not easy to survive. Walking on the path of the Himalayan Mountains may take one or two months, and people have died along the way either from the frigid weather or from starvation,” said Geshangjian, a member of the Parliament of the Central Tibetan Administration, who has personal knowledge of the escape route. To embark on the dangerous route to India, most Tibetans choose the period from November to April, “since the frigid winter lowers the alertness of border control troops. They arrive in Nepal first, head to a Tibetan refugee center there and must wait there to be transferred to India. In most recent years, 3,000-4,000 refugees arrived there [at that transfer point] However, the number of refugees has been reduced to 100 since March 2008, “ Geshangjian said. “This is because the Chinese authorities have increased the monitoring. Tibetans have a hard time leaving their home, not to mention [getting all the way] to India. Most of them are from Qinghai, Sichuan and Anduo. 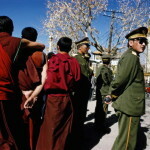 Many are not even able to make the [first part of the] trip to Lhasa now,” Geshangjian added. According to the Voice of Tibet, in Norway, some Tibetans have been arrested and tortured, the valuable items they carried with them confiscated, and they have been detained and prevented from going on their way. A woman who recently arrived in Nepal said six of them had taken the bus from Lhasa to Shajia but were arrested by the Border Patrol as they were walking to Dingri County. They were punished for their attempt to flee the country by being forced to stand for a long time after being stripped of their clothing, and they were severely tortured. One refugee said that he had tried many times to escape from China and was arrested once along with three others while they were attempting to cross the border.